In light of plans to build a new super- airport in Beijing in 2017, the UK’s domestic headaches over the fifth runway at Heathrow are thrown rather into perspective. The Daily Mail reports that newly-released plans show that the new hub will measure 55 square kilometres - about the size of Bermuda - and will have space for up to eight commercial runways. The airport will have capacity for 130 million passengers a year, which amounts to more than Heathrow and JFK combined. At 55 square kilometres, the airport compares favourably with the acreage of Bermuda. 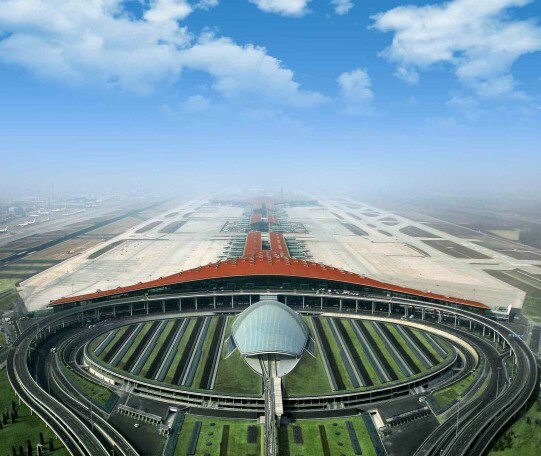 It will, however, not be the largest in the world by area; that title goes to the King Fahd International Airport in Saudi Arabia, which sprawls to a staggering 780 square kilometres. Dutch airport consultants have been recruited to make the design as passenger- and environmentally-friendly as possible, with a high speed rail network conveying passengers to and from central Beijing within 30 minutes. Your luggage needn’t be the biggest in the world – choose convenience and style for the business travel world, with Gate8.